INFPs like their freedom, and because of this preference they often find themselves moving into entrepreneurship. 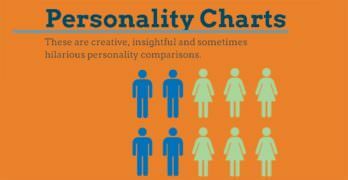 People of this personality type are usually naturally quiet, but they can achieve a lot in their own business when they set their minds to it. INFPs use extraverted intuition as their auxiliary function. This cognitive function forces them to explore life, to gather information and try to understand the patterns that make up human behavior and events. As a result of it, INFPs usually have a lot of insight about life and about the future that others just don’t have. They understand people and their needs and emotions on a deep level that few other types can match. This is often what forms the basis of their vision for their business as well. INFPs can use this insight to understand what others need in some aspect of their life and create something that would fill that need. When they can manage to do this, they often find themselves galvanized by the chance to help others and passionate about their business. INFPs often struggle to share this vision with other people. 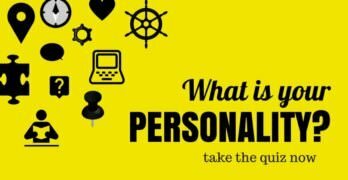 People of this personality type are intensely private, and prefer to keep their thoughts and emotions to themselves most of the time. They will share with the people they trust the most, but this doesn’t usually apply to strangers or acquaintances. As a result, most INFPs will struggle to share their vision with potential clients or with people who could help them on their business journey. This is something they need to overcome if they want to be successful in their entrepreneurship endeavors. INFPs need to be passionate about their business or their product to be interested in it. This is the most important component of work to this type. If they aren’t passionate about their work, or if it conflicts in some way with their own deeply held beliefs, most INFPs will struggle to focus on it. They will become unmotivated and resentful, and this is definitely not what INFPs need to produce their best work. This tendency is because of their introverted feeling dominant. This mysterious function makes decisions and judges the world based on the INFPs beliefs. These emotions are incredibly strong in INFP and usually end up dictating both their path and what they’re interested in. But as long as the INFPs remains interested in their own business, they’ll be passionate workers who often inspire others to follow in their wake. INFPs, most than any other type, struggle with criticism. Even when the criticism is directed at their business or at some aspect of their work, they’ll take it personally. This may not show outwardly, an INFP’s emotions tend to stay private except under extreme circumstances, but that doesn’t mean it isn’t there. An INFP who is criticized will think over the comments, mull it in silence and sometimes even use it to punish themselves. This is neither constructive nor pleasant for this type, and is something they need to overcome if they want to succeed in their own business. INFPs can be hard to get to know in their working relationships. They’re often extremely reserved and slow to trust and confide in others and this can result in them being isolated from the people around them. But this lack of understanding doesn’t go both ways. Because of their emotional intelligence, INFPs often understand the people around them very well and can use this intelligence to connect with their employees or partners and ensure better working relationships. When they manage to do this, they can have mutually beneficial and very satisfying working relationships. INFPs are good networkers and have good social skills as well. Their introverted feeling dominant may be inwardly focused, but because they’re so aware of their own emotions it gives them an understanding of others emotions and motivations as well. INFPs can use this understanding to empathize with and connect to others in their networking efforts. They just need to make sure that they don’t go overboard with this. Like any other introvert, INFPs need time alone to process and recharge. Unfortunately they often neglect this need, which can result in low energy levels and emotional instability. They need to find a balance between doing the networking their business needs and seeing to their own needs if they want their business to last over the long term. INFPs aren’t very interested in planning things. They’re long term thinkers, but prefer to keep their options open. This is due to their extraverted intuition auxiliary function, which seeks to explore the world to unearth and understand its patterns. This preference means that most INFPs will struggle when it comes to setting up a long term business plan for their business because they often find themselves outwardly fighting with or completely ignoring the expectations and rules imposed on them by others if they don’t agree with them. This will often result in missed deadlines and problems when they’re setting up their business. INFPs don’t like structures, rules or restrictions in any part of their lives and they often have an outright disdain for traditional structures or schedules. This means that they’re usually fairly reluctant to set up these standards in their own business. INFPs need to have freedom to create and to innovate, and they usually assume that others need these same qualities. As a result, most INFPs will set up businesses that have very open environments. This type will be understanding of the different processes and needs of the people around them and willing to try anything to assist those processes. This can result in a very unstructured and chaotic working environment, but this will actually make the INFP feel happier and most creative as well. INFPs usually do well in their own business as long as they believe in what they’re doing. This is the key to their success, and to their continued interest in their own business. Without this component, no matter what business they start, INFPs will usually find themselves unmotivated and moving on before they can find any level of success. Irish, Chelsea. “Developing Exploration for INFPs and INTPs“. Jan 19, 2017. (Retrieved Mar 2018). Dr. Drenth, A. J. “Introverted Feeling (Fi) vs. Ti, Ni & Fe“. (Retrieved May 2018). Chung, Michaela. “What Is An Introvert?“. (Retrieved May 2018). “The INFP in the Workplace“.